We have two updates - both of work in progress rather than hard news. 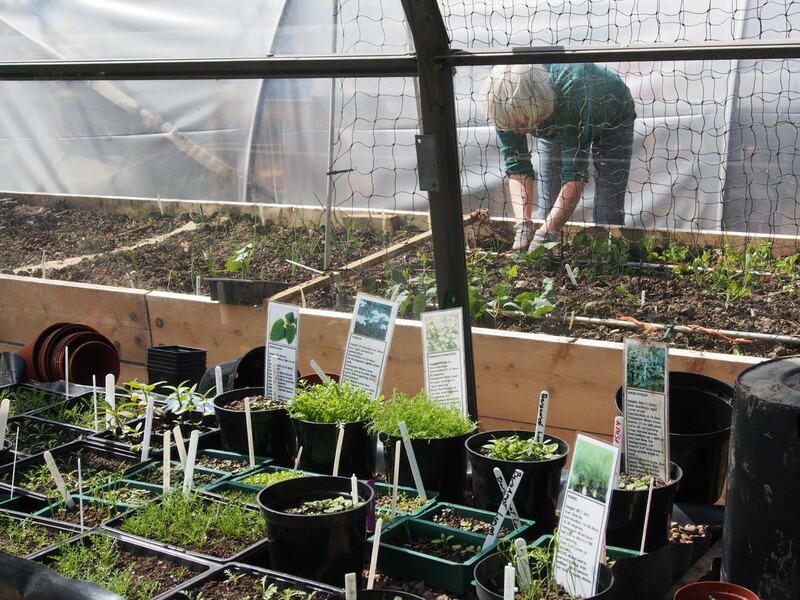 Our nomination for registration as an Asset of Community Value went in to High Peak Borough Council in early December 2017. A decision would normally be made within eight weeks, giving time for a Council Officer to review the documents and make a recommendation, but we've been advised of a little delay to allow the Council's Corporate Select Committee the opportunity to consider the nomination before it is taken for decision to the Executive Team at their meeting on 15 February 2018. Our on-line petition, with its 1021 signatures and wealth of supportive comments, was submitted to HPBC on 5 January 2018. A response may normally be expected within ten working days. Again, we have been advised of delay. The Council's Senior Management Team have considered the petition and referred it to the Executive Team for decision. It seems likely that this will also be an item on the 15 February 2018 agenda. We hope for good news. We will keep you posted. Its the Big Garden Bird Watch this coming weekend. 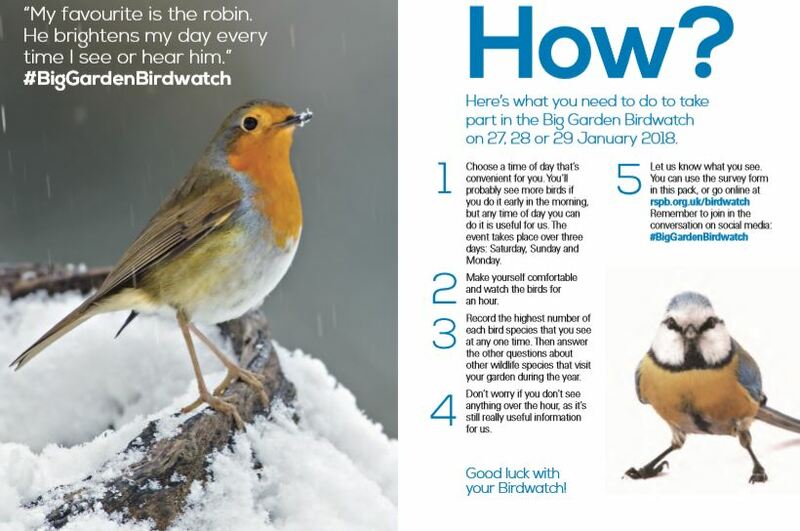 The event is organised by the RSPB and provides important information on the numbers and health of our garden birds. Why not pop up to Poole's Cavern and sit on the Cafe enjoying a hot drink and some of our delicious home ,made cake, or a bowl of soup while counting the birds on our feeders. If you have been up to Grin Woods today you will have noticed that one of the Elm trees close to the edge of the Woods has been felled. 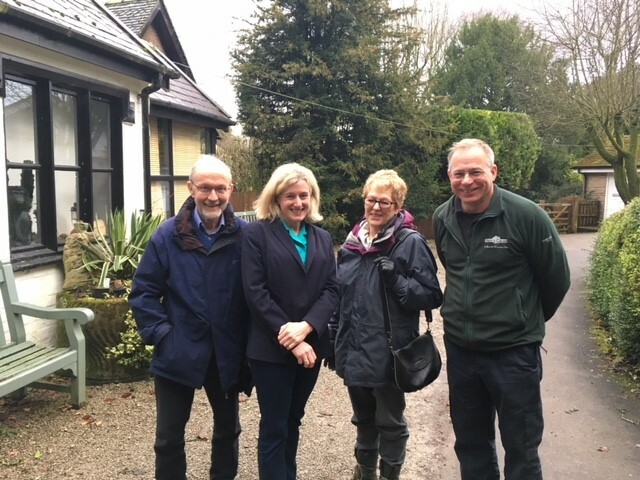 The tree was diseased and was considered to be in a dangerous condition and given its location it was felt that it posed a risk to visitors to the Country Park. 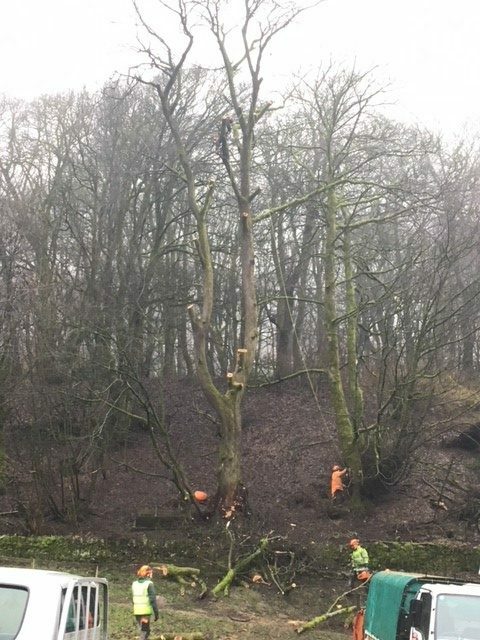 The decision to fell the tree was approved by the Derbyshire County Council Tree Officer as the tree was subject to a Tree Preservation Order. The work was undertaken by Able Tree Services. Friday 12 January, 7.30pm to 9pm at, Buxton Methodist Church, Chapel Street, Buxton, SK17 6HX. Saturday 13 January, 7.30pm to 9pm at, Glossop Methodist Church, Chapel Street, Glossop, SK13 8AT. Both meetings are open to all. Brexit has sparked much debate locally, nationally and is one of the hottest topics in my postbag – I look forward to hearing your views." For other events please see the link below.